The author was Adjt. and Bvt.Major 176th Regiment New York Volunteers. 104pp with black and white illustrated plates. An interesting pencil inscription to the front end paper reads "Christmas 1947 - To Dennis Commbe from his grandfather. The drawings in this book were made by his great grandfather while a prisoner of war with the author." 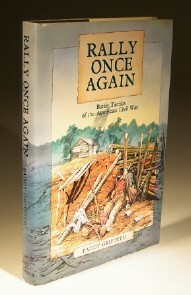 Challenges many of the established ideas of a war whose harvest of almost three quarters of a million American dead was twice that of any other war in which Americans have fought. 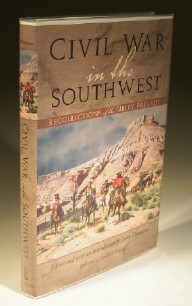 In the summer and fall of 1861 Gen. Henry Hopkins Sibley raised a brigade of young and zealous Texans to invade New Mexici Territory as a step towards the conquest of Colorado and California. 239pp illustrated in black and white. 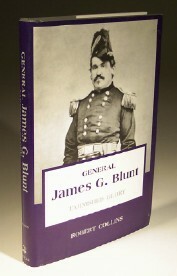 Union soldier James Gilpatrick Blunt, Kansas's only Civil War era major general, was an immensely resourceful military strategist. A complex and flawed, yet effective, leader and his actions. 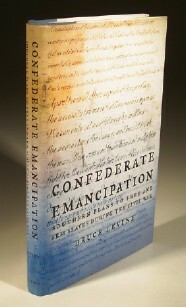 The Civil War produced few more ironic episodes than the Confederacy's debate about whether to arm and liberate enslaved African Americans. 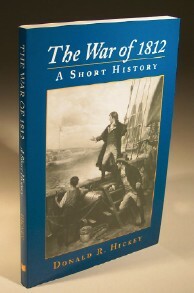 Presents both details and overviews of the War of 1812 in a very readable manner.